I may have squealed a little. 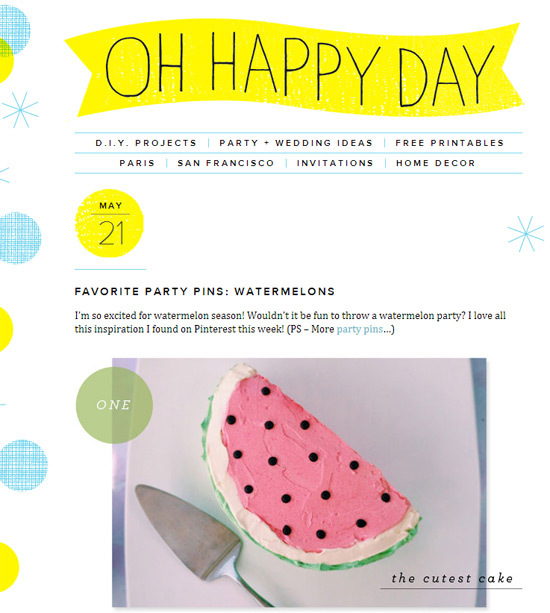 The watermelon birthday cake I made for my daughter was featured on the Oh Happy Day blog (my top 5 favourite blogs of all time!) recently along with some other fun watermelon party ideas. Beyond thrilled! See the whole watermelon party here. Well deserved Steph! Your cake is just beautiful. One of my fave blogs too! Awesome! Great cake! Oh so awesome Steph! It IS a fabulous cake. @Amanda so glad that I could share it with you!